The members of the committee enjoyed dinner and fellowship. Everyone agreed that we had a very effective committee. The meeting was adjourned at 21:00. —Minutes by Ted Claxton and Liam Morland. The meeting was adjourned at 15:15. The meeting was adjourned at 21:55. The next meeting will be Tuesday, September 13, 2005 at 19:00 at the Navy Hall, Niagara-on-the-Lake. The meeting was adjourned at 21:00. The next meeting will be Tuesday, September 6, 2005 at 19:00 at Niagara Falls BP House. The meeting was adjourned at 21:15. The next meeting will be Tuesday, August 23, 2005. The meeting was adjourned at 21:30. The next meetings will be Tuesday, August 9 and Tuesday, August 23, 2005. The meeting was adjourned at 18:20. The next meetings will be Tuesday, July 12 and Tuesday, August 9, 2005. The meeting was adjourned at 21:28. The next meeting will be Monday, June 13, 2005 at Niagara-on-the-Lake City Hall. The following two meetings will be Tuesday, July 12 and Tuesday, August 9. The meeting was adjourned at 21:15. 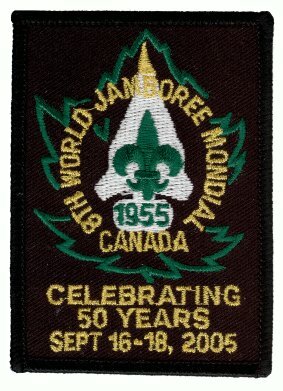 The next meeting will be Tuesday, May 3, 2005 at Niagara Falls Scout House. The following meeting will be Monday, June 13. The next meeting will be Tuesday, April 12, 2005 at Niagara Falls Scout House. The meeting closed at 21:33. The next meeting will be Tuesday, March 8, 2005. The meeting closed at 20:50. The next meeting will be Tuesday, February 8, 2005 at Niagara B-P House. The next meeting will be Tuesday, December 7, 2004 at the Navy Hall. Bill L. will make the booking. The next meeting will be Tuesday, November 9, 2004 at the Navy Hall. Bill L. will make the booking. The next meeting will be Tuesday, October 5, 2004 at the Navy Hall. Bill L. will make the booking. Committee will meet on Saturday. September 18 at part of the Scout Brigade of Fort George and on Tuesday, October 5, 2004 at the Navy Hall. Bill L. will make the booking. The next meeting will be Tuesday, August 31, 2004 at the Navy Hall in Niagara-on-the-Lake, if arrangement can be made; otherwise at Niagara Falls Scout House. The meeting was adjourned at 20:35. The next meeting will be Tuesday, July 13, 2004 at the Navy Hall in Niagara-on-the-Lake. At this meeting, working groups will report on location, size, and costs associated with the monument, and program ideas and a draft pro-forma budget for the celebration.